Eleanor R Marchant is a Postdoctoral Fellow at the Programme in Comparative Media Law and Policy at the Centre for Socio-Legal Studies. She recently received her PhD from the Annenberg School for Communication at the University of Pennsylvania where she studied under Dr John L. Jackson Jr, the incoming Dean of the Annenberg School. Her research brings a deep-dive anthropological perspective to examining the relationship between the internet, rapidly changing new technologies and the African societies that shape and are shaped by them. 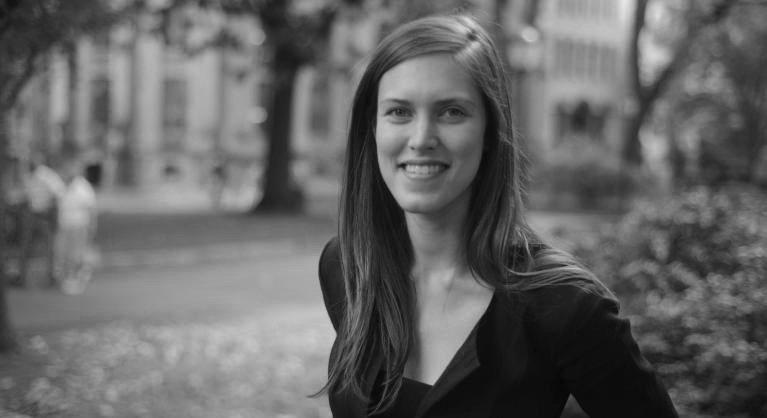 Eleanor’s doctoral work is an empirically rich exploration of the experiences of entrepreneurs, investors, and programmers designing, building, and funding new communication technologies in Nairobi, Kenya. Drawing from first-hand experience during an extended multi-year ethnography of Nairobi’s tech sector, Eleanor provides an insightful analysis of the internationally engaged, nature of technology production on the African continent, and the technological and cultural narratives that shape, and at times inhibit, that work. Eleanor has been a fellow at the Center for Global Communications Studies, iHub Nairobi, and the Media Institute in Nairobi. She also brings a practitioner’s perspective to her research, drawing on six years working as a media investment and development practitioner with a focus in the West and East African regions for both Media Development Investment Fund and Freedom House. BSc., Economics and Politics, Bristol University, Bristol, UK. MA, International Relations, New York University, New York, USA. MA, Communications, University of Pennsylvania, Philadelphia, PA.
PhD, Communications, University of Pennsylvania, Philadelphia, PA.